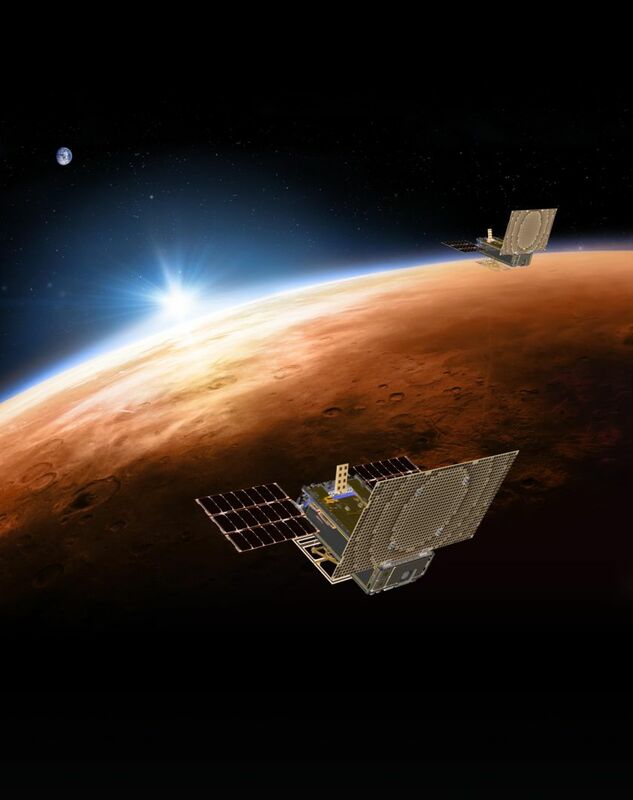 MarCO or "Mars Cube One" is an experimental mission that will accompany InSight to Mars. It consists of two identical spacecraft, each 36.6 by 24.3 by 11.8 centimeters in size. If successful, they will relay real-time telemetry from InSight to Earth during the landing. MarCO costs $18.5 million. Did I mention how tiny they are? They are tiny. No spacecraft this small has ever been sent to any other planet. Engineer Joel Steinkraus stands with both of the Mars Cube One (MarCO) spacecraft at NASA's Jet Propulsion Laboratory. The one on the left is folded up the way it will be stowed on its rocket; the one on the right has its solar panels fully deployed, along with its high-gain antenna on top. The MarCO satellites will perform bent-pipe relay of InSight's transmissions during landing: they will receive UHF transmissions from the lander, decode them, and send the decoded data on to Earth. If successful, they will provide mission controllers and Mars fans around the world with live information on the status of the spacecraft during landing. Meanwhile, Mars Reconnaissance Orbiter will record all of the transmissions from the lander without decoding them, saving them for later transmission. If something goes wrong on landing day, it will be the data recordings from Mars Reconnaissance Orbiter that help NASA figure out what went wrong. If everything goes right, we'll learn about it first through MarCO. MarCO will relay data from InSight to Earth during InSight's descent through Mars' atmosphere and touchdown on the surface. 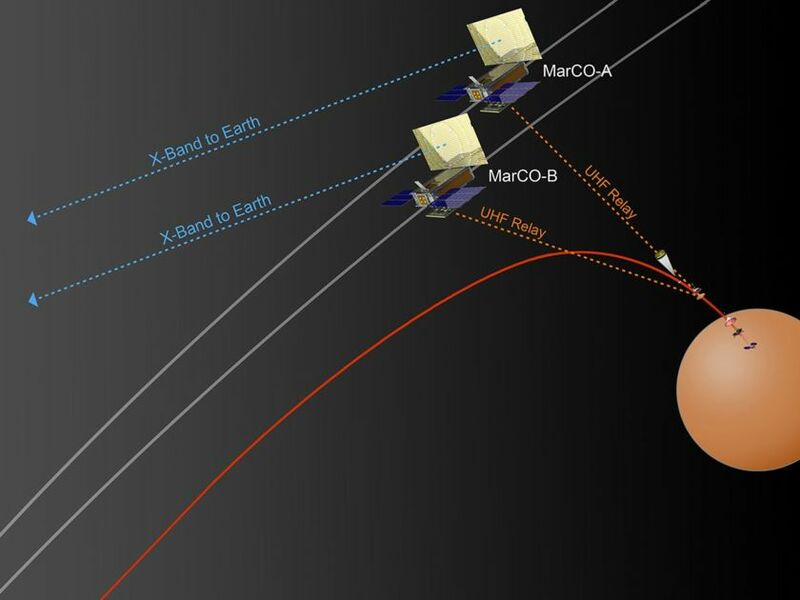 With no ability to enter orbit at Mars, the MarCO spacecraft will shoot on past, remaining in solar orbit. I assume their Earth controllers will remain in contact for as long as possible. Check out my preview of the InSight launch for a detailed launch timeline. The MarCO satellites ride to space at the aft end of the Centaur inside a CubeSat dispenser attached to an aft bulkhead carrier. Following the separation of InSight, at about 90 minutes after launch, the dispenser will release MarCO-A. The Centaur will roll 180 degrees and then release MarCO-B about a minute later. The MarCO satellites have to "detumble" after their release, then deploy their solar arrays, then initiate communications. Their first signals should arrive on Earth within 45 minutes of separation. The two spacecraft will be navigated separately to Mars and have five trajectory correction maneuver opportunities. They use reaction wheels to control their orientation and cold-gas thrusters to maneuver and desaturate the reaction wheels. A major challenge for smallsats operating at great distances from Earth is deep-space communications, which usually requires bulky dish antennas and significant power. The MarCO spacecraft have flat "reflectarray" X-band antennas that operate at lower power. Each MarCO has a wide-field camera and a narrow-field camera, each producing 752 by 480 pixel images. The wide-field camera is primarily intended to confirm high-gain antenna deployment. It has a 138-degree diagonal field of view. The narrow-field camera has a 6.8-degree diagonal field of view. It is boresighted opposite the high-gain antenna. I don't know the details of imaging plans. With low mass and low power comes low cost, particularly for launch. I hope that MarCO will be just the first of many mini-spacecraft to be sent to interplanetary targets: Mars, Moon, and asteroids! An artist's rendering of the twin Mars Cube One (MarCO) spacecraft flying over Mars with Earth in the distance. 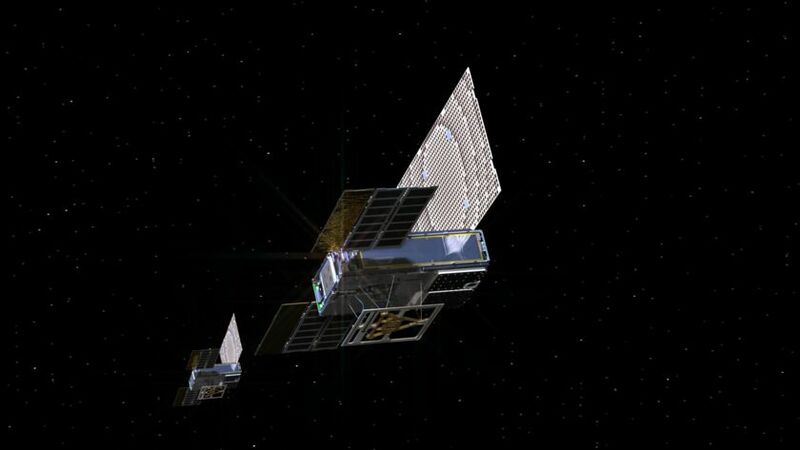 The MarCOs will be the first CubeSats -- a kind of modular, mini-satellite -- flown in deep space. They're designed to fly along behind NASA's InSight lander on its cruise to Mars. If they make the journey, they will test a relay of data about InSight's entry, descent and landing back to Earth. Though InSight's mission will not depend on the success of the MarCOs, they will be a test of how CubeSats can be used in deep space. I wasn't aware of these until reading this. Do I understand correctly that they are more of a technology demonstration than something integral to InSight's entry descent and landing operations? Would love an update when more is known about the imaging and the team's plans after the primary mission is over! Why two of them instead of just one? Seems like they're just redundant, and since they're not mission-critical it seems like that redundancy would be a waste of launch weight. I'd like to be optimistic that MarCO will be successful, hopeful that future missions will deploy multiple cube sats for geosynchronous orbits. 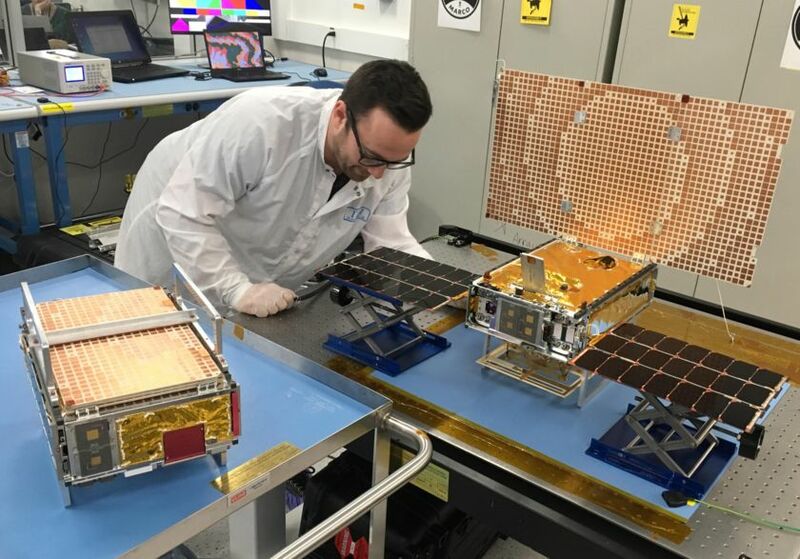 If several cube sats can do the work of one larger orbiter, a more cost effective way of updating older technology could be the norm.